Bringing together two of China's most interesting electronic labels, this event sees Hangzhou-based FunctionLab and Shanghai-based Genome 6.66mbp showcase their weird, dark vibes at Oil this weekend. With the likes of GG Lobster, Juan Plus One, Kelvin T and in attendance, you don't want to miss this one. 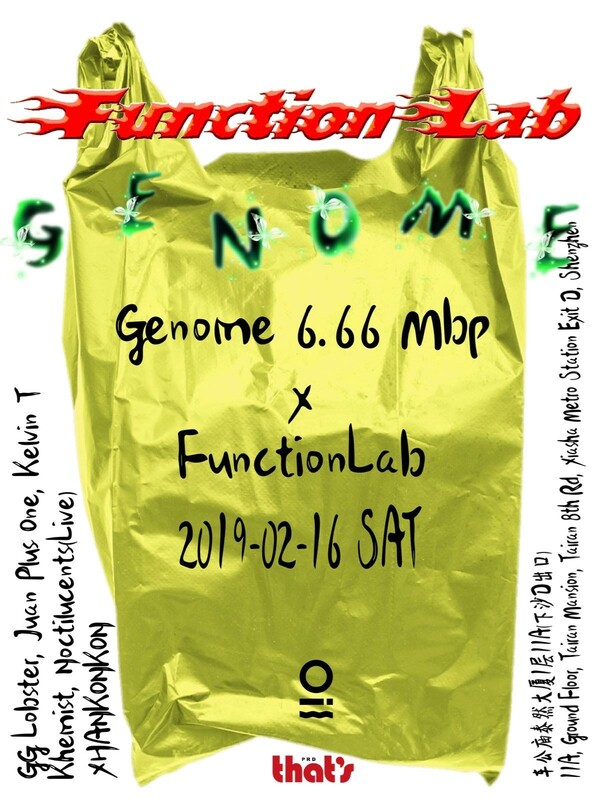 We're giving away two tickets to see FunctionLab/Genome 6.66mbp in Oil, this Saturday. For a chance to win, share this post on your Moments with the caption 'That's what I want – Genome.' Send the screenshot to our official WeChat account (ThatsShenzhen), along with your name and phone number.